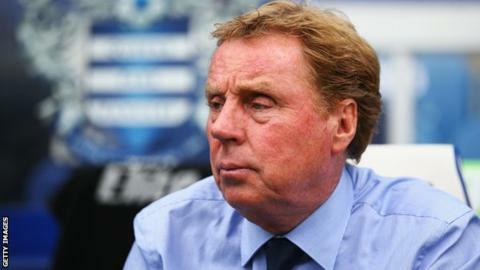 Harry Redknapp insists he still has a "great desire" for the Queens Park Rangers job, despite the club sitting bottom of the Premier League table. The QPR boss said he gets up at 4am to start work and has a good relationship with club owner Tony Fernandes. "I love this job and football management. I've got a great desire for the job still," said the 67-year-old. "I talk to Tony Fernandes every day. I'm having dinner with him tonight. I'm doing my best and he knows that." Rangers have won just once in their opening seven games this season and reports on Thursday suggested Tony Pulis and Tim Sherwood were being lined up to replace the former Tottenham manager. But Redknapp is confident his team will turn things around and steer clear of trouble. "There's still so much time left this season," he said. "There are still so many games to play. I'm confident we'll be fine." Redknapp's side face Liverpool at Loftus Road on Sunday.